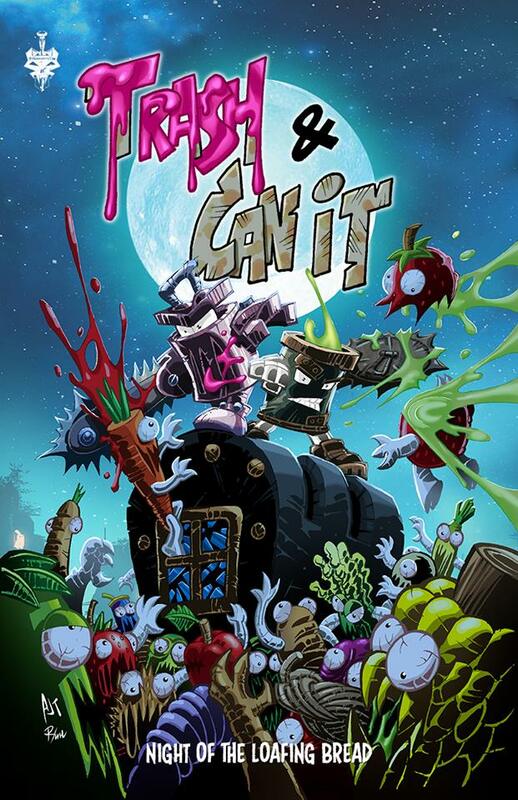 Indie Volt Exclusive Reveal: Trash & Can it – INDIE VOLT! 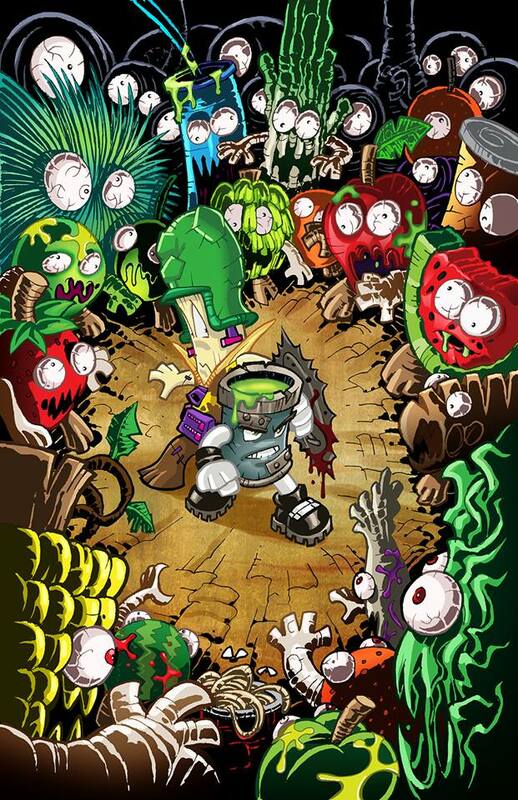 We damn near had to pry this out of the hands of the powers that be at Trepidation comics! We’re letting the cat out of the bag! 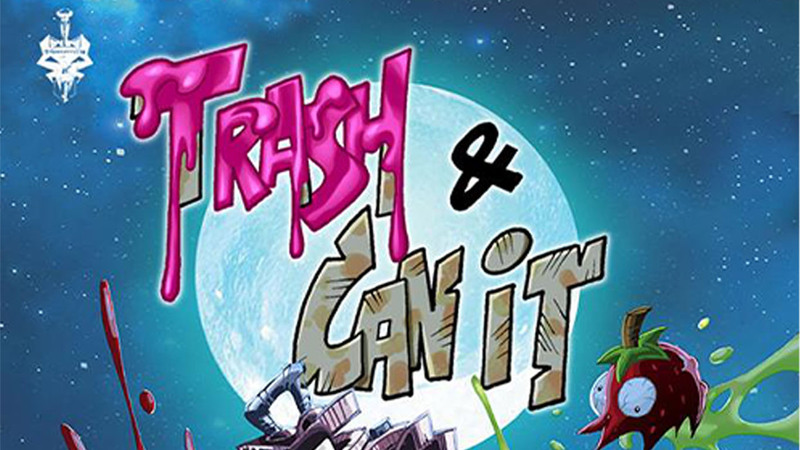 The publisher is unveiling their newest project: Trash & Can it due out early spring 2019, from the team that brought you Abe the Aborted Fetus: Z.M Thomas and Anthony Tan. 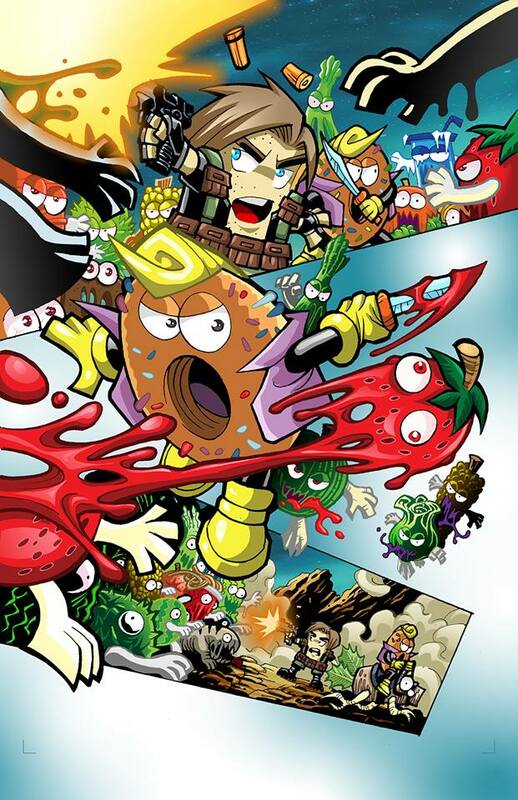 When an army of the fermented begin to overrun the dump, Trash & Can-It find an unlikely ally in a fermentally challenged GMO’ed banana named Fantastic Dan and the only chance of stopping this invasion. When forced with the decision to vaccinate the entire population with a new GMO and face Rotism or a Fermented zombie apocalypse, the race against time begins and the choice whether to “Go Full Mustard”. Are you excited to check out this release from the Trepidation crew? Take a look at some of the additional art below and sound off in the comments.